Hot on the heels of yesterday’s look ahead by Cisco Systems at the Internet of 2017, Akamai is out with its quarterly state of the Internet report as of the end of the second quarter of 2013. 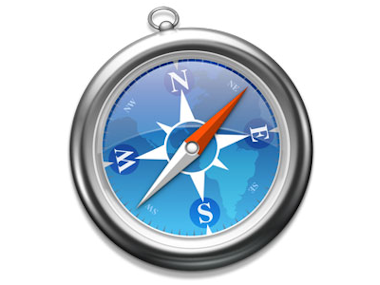 One thing Akamai saw was an uptick in Web browser traffic from mobile devices. Akamai cited data from Ericcson saying that mobile data traffic doubled over the year-ago period. By comparison, voice call traffic grew by only four percent during the same period. Akamai also tracked which browser was in use. Across all networks (cellular and Wi-Fi), Apple’s Safari on the iPhone and iPad amounted to about 60 percent of requests versus Android’s browser, which was seen no more than 33 percent of the time. A few more highlights: Indonesia displaced China as the apparent home of most of the world’s attack traffic, while the U.S. was third with about seven percent of attack traffic. The number of old-style Internet Protocol addresses is running pretty close to the exhaustion point. While Asia and Europe are close to using up their last block of 16 million addresses, registrars in North America have been more conservative when handing them out. It’s a warning to the industry to get its act together around preparing for IPv6 sooner rather than later. Finally, here’s an interesting bit of trivia: On March 13, when the world learned of the election of Pope Francis, live-streaming traffic on Akamai’s network quadrupled in a one-hour period and peaked at more than 2.1 terabits per second. It’s a sign of how demand for streaming traffic can spike in response to world events.